Gone are the days students would down a few cups of coffee during exam season to keep them going. These days, a steadily increasing number of college students and Millennials are becoming dependent on energy drinks to get them through the day. What does this mean for the health of our youth? And they’re not the only ones at risk. I personally stay far, far away from energy drinks because I’m fully aware of their dire consequences. But young people and students don’t seem to mind the overload in sugar and chemicals that these drinks carry. And let’s not just point fingers at the young: there are some older adults who like to get a quick energy boost from these beverages, too. What most don’t realize is that these energy-boosting beverages can have long-lasting effects on the heart. It’s been found that the unique blend of caffeine, sugar, and herbal stimulants in energy drinks today can actually promote an abnormal and potentially life-threatening heart rhythm. In addition, it can also create a long-lasting increase in blood pressure. While this can have a negative effect on healthy adults, it can be particularly detrimental to those with an underlying cardiac disease or hypertension. Are Energy Drinks a Threat to You? Since it increases heart rate and blood pressure for an extended period, it can also be increasingly dangerous during activities like exercise or sports. Prolonged high blood pressure can put consumers at serious risk for heart disease and stroke—considering that one in three Americans has high blood pressure, a good portion of the population would be worsening this pre-existing condition by consuming energy drinks. Instead of reaching for an energy drink when you’re in need of a little mid-afternoon boost, make a healthier choice. And encourage your children and grandchildren to do the same. This will also prevent them from crashing in a couple of hours. A green juice chock full of leafy green vegetables can be even more energizing than a caffeine-packed energy drink. Protein shakes are another great alternative since a common cause of fatigue is a lack of protein. Adding fruit, wheat germ, or quinoa to your shake with a scoop or two of protein powder will make for a more sustainable energy boost. 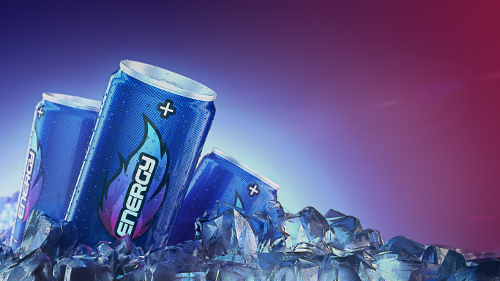 Energy drinks provide a very temporary boost of energy, but the effects of the energy blend in these drinks can have a detrimental and long-lasting effect on your health. It’s definitely worthwhile to swap these for a more natural source of energy—it’ll benefit you and your heart in the long run and keep your energy levels more consistent. E. Fletcher et al., “Randomized Controlled Trial of High‐Volume Energy Drink Versus Caffeine Consumption on ECG and Hemodynamic Parameters,” Journal of the American Heart Association, April 26, 2017; http://jaha.ahajournals.org/content/6/5/e004448, last accessed May 8, 2017. Energy Drinks May Give the Heart an Unhealthy Jolt,” MedlinePlus, April 26, 2017; https://medlineplus.gov/news/fullstory_164942.html, last accessed May 8, 2017.